Provenance: Parisian private collection A., acquired in a French auction house. Accompanied by a French antiquities passport. Description: Gold ring of a child of thick gold sheet with a massive gold setting framed by four small gold beads. 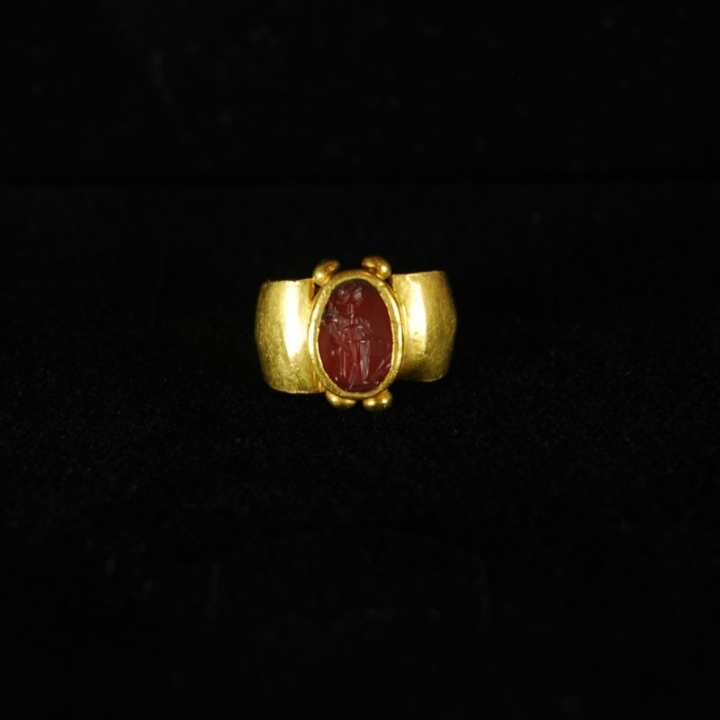 In the setting is a Carnelian gem depicting a standing Fortuna, the goddess of fortune facing with her head to the right. In her right hand she holds the horn of plenty (cornucopia) promising abundance, in her left the ship's rudder (gubernaculum) setting the direction of life.